Let us help you plan your next celebration, special event, or meeting! The Center offers facilities for wedding ceremonies and receptions, corporate retreats, birthdays, anniversaries, graduation and other special event parties, classes, bridal or baby showers, and more. We can host elegant seated dinners in our atrium ballroom, smaller groups in our adjacent meeting rooms, and outdoor and tented events on our village green. You will enjoy a classic, modern facility which includes a spacious atrium ballroom surrounded with triple hung and clerestory windows and light-filled adjacent rooms and studios. A full catering kitchen is available for the food service of your choice. There is ample free parking for your guests. Your rental package includes chair and table setup and breakdown by our staff. All this is nestled in a pastoral setting away from the hectic distractions of city life. We are located in the heart of the historic village of Montpelier in western Hanover County just 30 minutes from Short Pump,Chesterfield, Mechanicsville, Ashland, downtown Richmond and just an hour from Charlottesville, Fredericksburg or Petersburg. 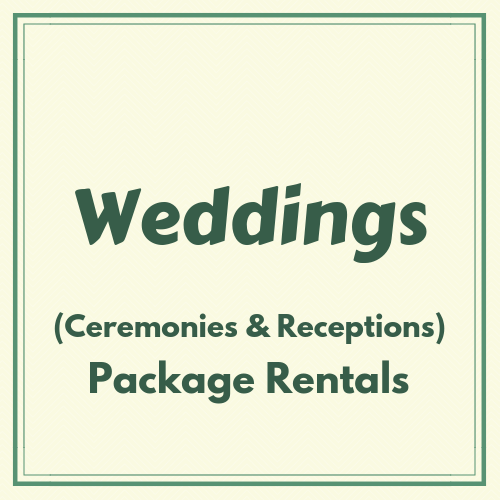 Click one of the links below to download a Rental Information packet for the type of event you are planning. Seating Capacities The Atrium Ballroom has a 16 x 20 stage and can accommodate about 200 people for dinner. Let us work with you on a customized floor plan to show you your seating options for plated vs. buffet meals. The Dance Studio can seat up to 75 people for dinner, or can be used in addition to the Ballroom for an elegant buffet service and special beverage area. For meetings, our conference rooms and classrooms can seat up to 50 people. Set up a tour Tours are available by appointment during our office hours Monday through Friday, 10am-3pm. You are welcome to do a self-guided tour of the Atrium Ballroom and Art Gallery during building hours, which are Monday through Thursday from 9am-9pm, Friday from 9am-6pm and Saturday from 10am-2pm. Please note you will not be able to view additional rooms such as the Dance Studio or the catering kitchen without a prior appointment. For additional information, date availability, or to schedule a guided tour, please email us with your name, contact phone number, type of event with approximate attendance, and requested date of event.